After releasing Umidigi S2 and Umidigi S2 Pro late last year 2017, the Chinese smartphone maker has launched yet another device called Umidigi S2 Lite. Not minding the name, the Umidigi S2 Lite is an affordable phone with crazy specificatons and features. 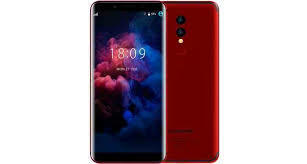 The Umidigi S2 Lite features a FullView 6-inches screen display which is protected by Corning Gorilla Glass 4, built in full metal body and comes in two different colors (Red & Black). The device features a 4G LTE network, fingerprint sensor, Face ID, 4GB RAM and 32GB Internal storage. There's also a big 5100mAh battery capacity to keep the phone going. Smartphone Price: $170 USD / NGN61,000. Nice, it's awesome. And very cheap too.